Products – Page 27 – Lovaticgadget.com: The Best of The Best! LOVATIC Drinkwell Platinum Pet Fountain Combo Kit. EXTREMELY DURABLE so when you use your new pool skimmer you don’t have to worry about it breaking. All you have to worry about is how clean your pool is! PROFESSIONAL POOL CLEANING. Have you ever seen the skimmers that professional pool cleaners use? Yep, this is it. Now your pool can be as clean as an olympic pool. EASY TO INSTALL because all you have to do is attach your pool leaf skimmer net to the pole and you’re ready to start cleaning your pool! INCREDIBLY SIMPLE TO USE because all you have to do is connect your net to the end of the pole and get back to cleaning your pool by skimming the top of the water to remove anything you don’t want in your pool. GUARANTEED SATISFACTION because of a 30 day full money bank guarantee and a trusted LOVATIC warranty. We are so confident in our products that we have no problem giving you every penny back if you’re unhappy with your purchase. You won’t see promises like that from big box brands! SGM dog seat belt is new version, with elastic nylon bungee buffer, designed to help protect you and your pet while driving. LOVATIC E6013, 1/16″, Welding Rods (1 pound)! All position – AC or DC – High Quality Welding Electrodes! High quality welding electrodes manufactured by the one of the most confidence manufacturer in Ukraine. 100% Satisfaction Guarantee or Money Back!!! A mild steel, general purpose, all position electrode. Use AC or DC (straight or reverse polarity) welding current. Especially useful for welding where poor fit up conditions (wide gap) exist. Small sizes are well suited for welding thin materials where low heat input required. For use on small 75-100 amp arc welders, used extensively for light duty welds. Light to medium penetrating, All purpose electrode. Ideal for use on weld joints with poor fit-ups. 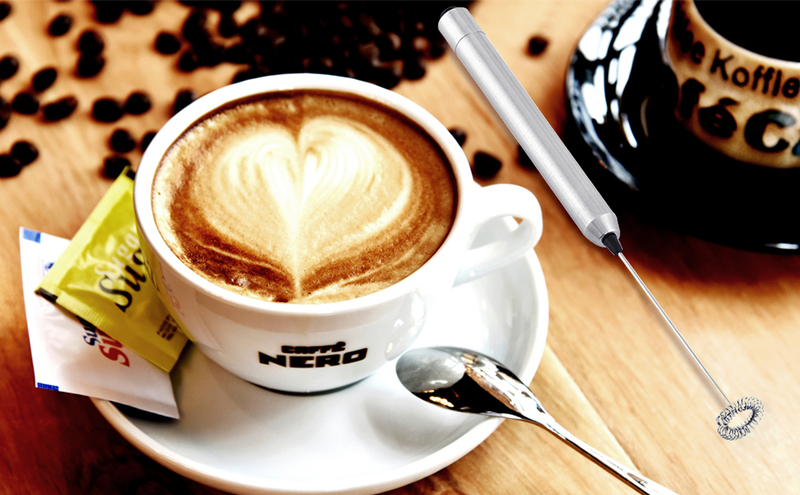 Why spend money on cups of espresso when you can create them in your kitchen every day？ WAPIKE Milk Frother will allow you to enjoy the aroma of coffee,treat yourself to a café style cappuccino or latte every day. 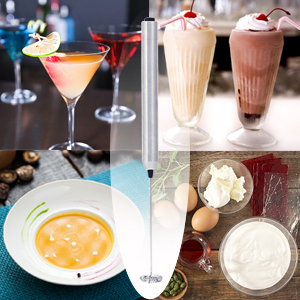 Name:handheld battery operated milk foamer machine. Inside with a protective cover to ensure that the frother will not bend. 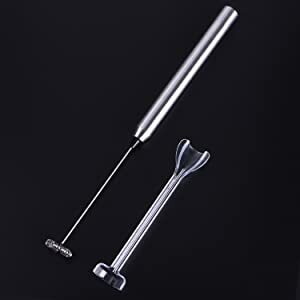 Easy to Operate:Put in the required batteries and it is ready to work.Take the hot or cold milk in a cup and plunge the frother half way down and power it on. 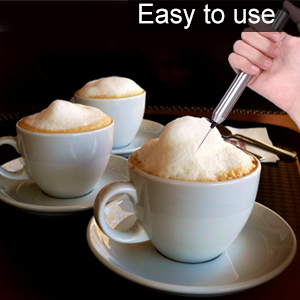 The frother will get to work instantly. Just keep moving the frother up and down. The foam will start forming instantly. When you have the desired amount of foam turn off the frother and your professional style foamed milk is ready for your drink. 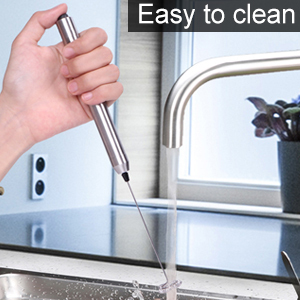 Easy to Clean:Just put it in a glass of hot water and whizz up to clean it. 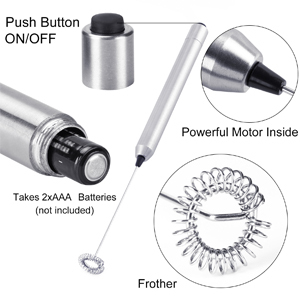 You Want– A battery powered salt and pepper grinder set that is quick reliable and easy to use. You Need– An electric salt and pepper grinder set that is durable, well built with a ceramic grinding mill that delivers the non- altered flavor of fresh spices quickly and easily to you and your family. You Desire– Exquisitely designed stainless steel grinders that make a beautiful addition to your home or an appealing and refined gift. You Get– Everything you want, need, and desire with Chef’s Trick electric salt and pepper grinders. The benefits of using a ceramic grinding mechanism are that you get a durable grinder that does not alter the flavor of your spices. Chef’s Trick’s beautiful and modern grinders come in a magnetically closing gift box that anyone would be happy to receive. Chef’s Trick grinders feature an automatic L.E.D. light which will illuminate your plate allowing you to see exactly how much spice is being applied. Chef’s Trick grinders come with a complimentary stand for ease of portability as well as providing an elegant organizational touch. Adjust the coarseness of your spices easily with a simple twist of the coarseness ring. No more hard to reach adjustment nuts like with so many of our competitors. Manufacturer 30 day money back guarantee with 1 year free replacement warranty. Chef’s Trick electric spice grinder combo is built to the highest quality standards but if something should happen we have you covered. REVOLUTION ELECTRIC SHAVER: A Gift for both men and women’s body in everyday beauty routine to eliminate all the hair you don’t need. Throw away your tweezers, razors, and trimmers, the electric hair remover is all you need for your make-up look. PAINLESS AND EFFICENT: Featuring four 18K gold plated heads, perfect Legs is hypoallergenic, gentle on all skin types, and safe to the touch. Smoothly gliding around ankles, back of the knees, and blind curves. No more nicks, no more cuts and no more irritation, it closely remove unwanted hair gently. CORDLESS AND PORTABLE: Rechargeable lithium-ion battery make the electric shaver cordless, portable and convenient. It folds up small and will be easy to store or travel with. ERGONOMIC DESIGN: The electric shaver is designed with four heads. The palm perfect ergonomic design is contoured to fit comfortably in the palm of your hand, and provides no nicks, no cuts, no irritation control you can’t get with razors. SATISFACTION GUARANTEE: If you are not satisfied with the quality of this product, we are willing to give you a full refund. A 1-Year warranty is offered to you to ensure the excellent quality of our product. Are you looking for a safe, efficient and fast treatment to remove all the unwanted hair on your body? Are you looking for a new device which continuously adapts to your individual skin? The LOVATIC Hair Shaver is the best choice to give to yourself and to your family. Why should you choose The LOVATIC Hair Shaver? – Easily and instantly sweep away unwanted hair. – Experience a painless and more comfortable shave on your legs. – Remove hair completely from face, arms, legs and other body areas. Step 1: Remove the Protective Cover. Make sure the unit is charged before using. Step 2: Push the Power Button, the light on the belly of the unit will turn on to show the unit is ready to use. Step 3: Position the Lower Head against the skin, gently glide the shaver along the skin, make small circular motions to remove unwanted hair. Constructed of high-quality plastics on front and back, make this sign lightweight and ideal to hang from virtually any surface. Place it in your lobby or above your theater entranceway or ticket counter and you will look just like a genuine movie theater! The included 96-99 piece letter pack offers a good balance of common letters and numbers to spell out your current feature, or post a message for a special occasion (note: may vary slightly from image shown). 【DETAILED INSTRUCTIONS INCLUDED】: A diagram provided which let you can know clearly the usage of blemish extractor. We don’t suggest use any blackhead kit before the acne matured. Please wipe all tools with rubbing alcohol before and after each use and use follow the instructions.